To view a 3D walkthrough of our house types click here. ~ a two storey four bedroom family home. First phase only: Plots 2 and 40 – SOLD. ~ a two storey four bedroom family home. First phase only: Plots 44 and 48. ~ a two storey four bedroom family home. First phase only: Plots 28, 38, 41, 49, 50 and 51. ~ a two storey four bedroom family home. First phase only: Plot 1 – available, Plot 27 – SOLD. ~ a two storey four bedroom family home. 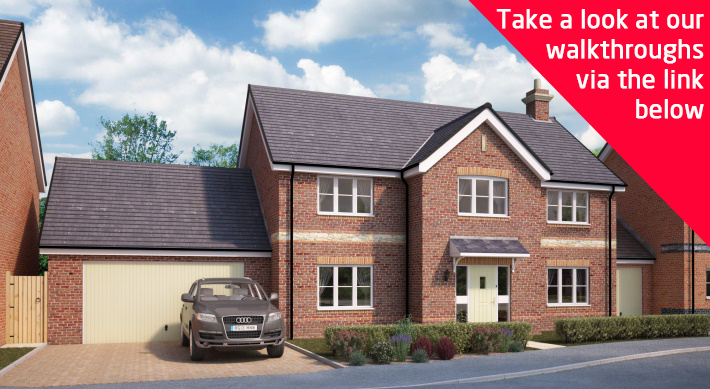 First phase only: Plots 3, 26, 29, 31, 36, 42, 54 and 59 – SOLD. ~ a two storey four bedroom family home. First phase only: Plots 24, 25, 37, 39, 43, 46, 47, 52 and 61. ~ a two storey two bedroom home. First phase: Plots 19 to 23 – SOLD. Second phase: Plots 7 to 11. ~ a two storey three bedroom family home. First phase: Plots 30, 45, 53, 55 to 60 – SOLD. Second phase: Plots 5, 6, 12 to 15.